WHAT: A step (& bite) in the right direction. Pizza Fusion is like any great neighborhood pizzeria, the vibe – authentic and original, the staff – friendly and helpful, and the food – fresh and fantastic. But at Pizza Fusion, it’s so much more than that. Along with a commitment to creating quality, gourmet pizza pies, Pizza Fusion has dedicated itself to making the world a better place by being both socially and environmentally conscience and as healthy as possible. WHEN (To Go): When you feel like tasting something local. Pizza Fusion prides itself on using local vendors so those veggies on your Fusion Salad or Gourmet Slice are from nearby farms and that frothy, draft beer is from Tampa’s own Cigar City Brewery. 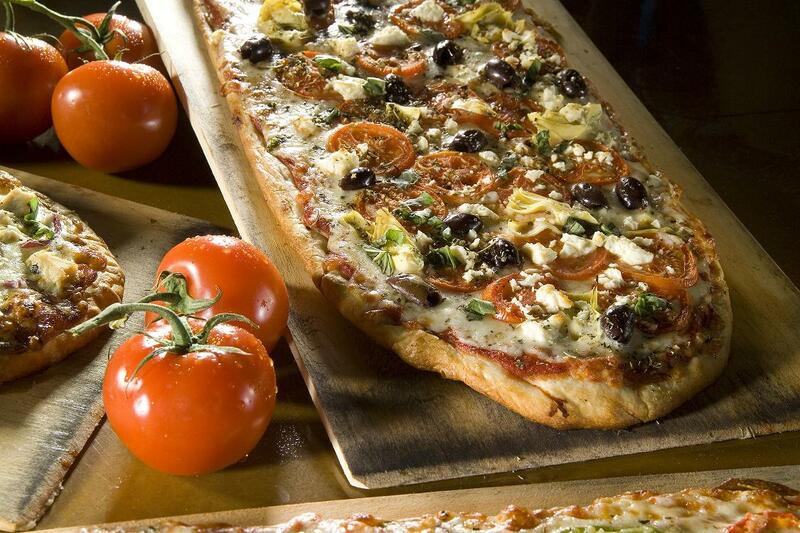 Savor in the freshest ingredients while supporting Tampa’s local economy. WHY: Because you can eat pizza and save the planet at the same time. Pizza Fusion has a strict green philosophy committed to preserving and improving the environment. They drive hybrid delivery trucks, offset 100% of their energy with renewable wind, and give customers discounts for bringing back their pizza boxes to recycle them. WHO (To Take With You): Your friend on the no preservatives, growth hormones, pesticides or trans fats, gluten-free meal plan. The menu items at Pizza Fusion have no artificial additives and are 75% organic. Yes, your dreams have come true…. a world where you can call pizza healthy.